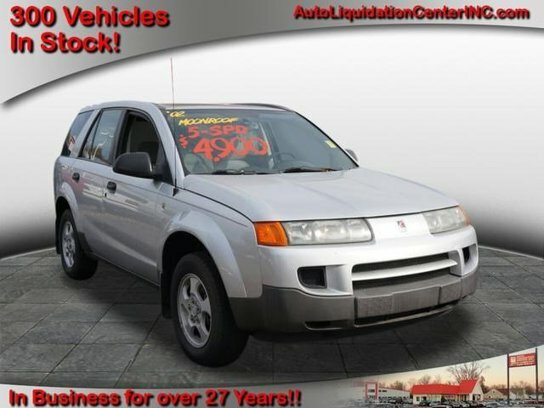 Used 2002 Saturn Vue 2WD Four Door Manual 2 wheel drive - front Silver Exterior Gray Interior 138,580 mi. Not provided. Disclaimer Sales Tax, Title, License Fee, Registration Fee, Dealer Documentary Fee, Finance Charges, Emission Testing Fees and Compliance Fees are additional to the advertised price.